It's a sure sign that spring is on its' way when you start to see the return of robins (and other birds!) around here. We've been spotting lots of birds around here lately, so I decided to make some bird themed crafts with the kids. This craft was actually inspired by a craft that we saw on Mister Maker. It looked easy enough to make, so Claire and I gathered our supplies and sat down to try to make the craft. You know what's not so easy? Trying to get a three year old to do four blue handprints in a fan shape! However, we finally got one that turned out (and 4 that didn't!). After we had the handprints done, I painted Claire's thumb and part of her palm under her thumb to make the body of the peacock. Then I just let Claire go to town painting dots all over the peacock's tail. Add some googly eyes, a beak, and then draw on his feet. 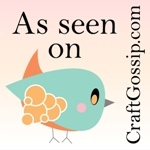 Join me here again tomorrow while I show off a few more bird crafts that we've made. You won't want to miss these ones! I am definitely doing this with my girls! 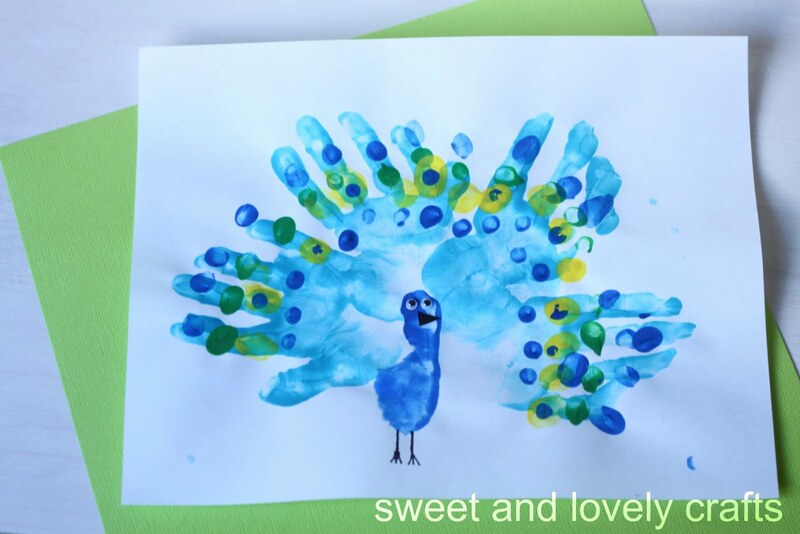 Anything that involves their little handprints is a keepsake! I've tried doing handprint crafts with three and four year olds so many times... it is *always* harder than you'd expect it to be. Love the results, though - so much that I might give this one a try. I am a kindergarten teacher and I could so do this in my classroom! Way to cute! Thanks for sharing! We are going to try this one today! Thank so much for sharing. Very splendid peacock. 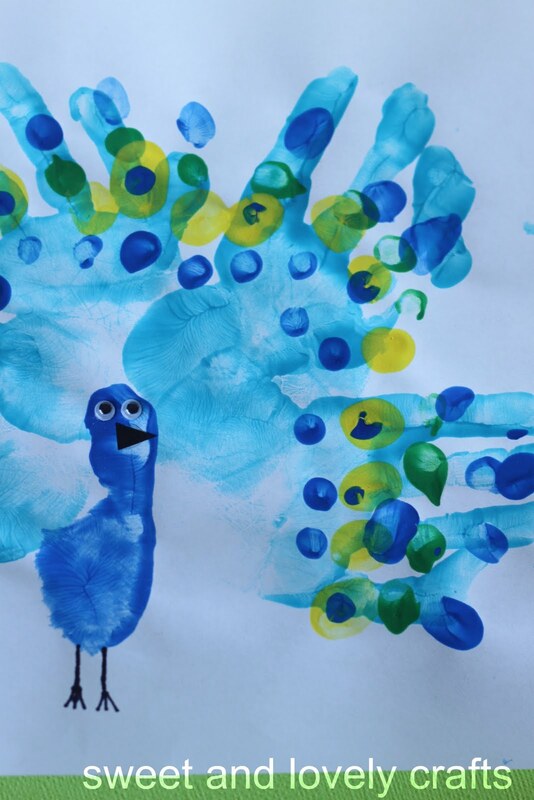 We just finished reading several peacock themed books and this would be a great craft extension. Oh I can't tell you enough how much I LOVE this idea. 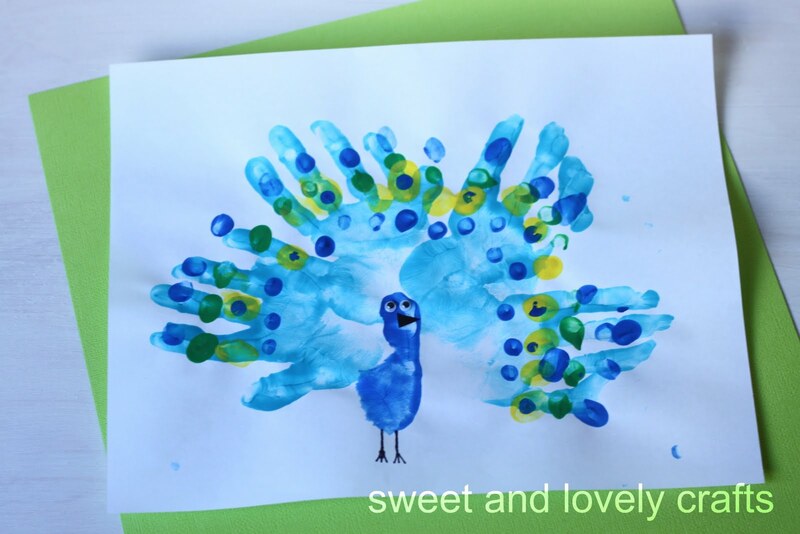 I love the colorful peacock & I can't wait to do it with my little ones. This is absolutely perfect to add in the BirthMother's Day package for my sons birthmom- thanks for sharing! We would ♥ for you to show this off at join our link party! So fun! My 3 year old girl saw this & asked to make one for Grandma & Grandpa right away. It turned out so great. Thanks for the cute, fun & idea. My husband owns peacocks and this is perfect for our daughter to do for his birthday card (which is today!). Now....if only I can get a 15 month old to cooperate! ;o) Thanks for sharing.